It seems like so long ago when David and I were sitting in the Bowmore cottage, talking about how cool it would be to have a private label for K&L. "Something with a cool name," we both said. That was the night we crossed "Crystalyne," Kristaline," and "Stillyne" off the list in favor of "Faultline." That would be the name of all privately-bottled K&L booze, we decided, as we went to sleep that night with a surge of energy rushing through our veins. 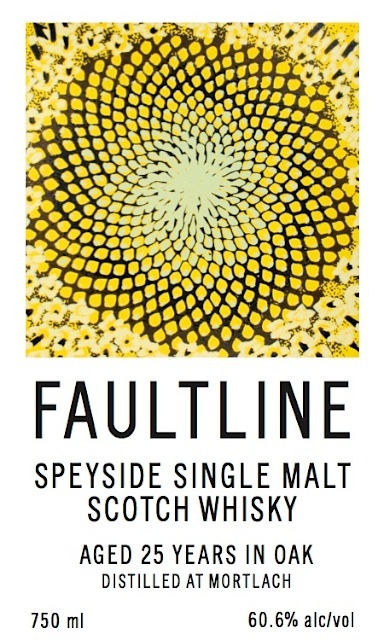 Three years later, we've amassed quite a fun collection of Faultline gin, Cognac, rum (on its way), and Bourbon (on its way, too), but nothing quite as audacious as this year's project: nine new casks of Faultline whisky from Scotland! 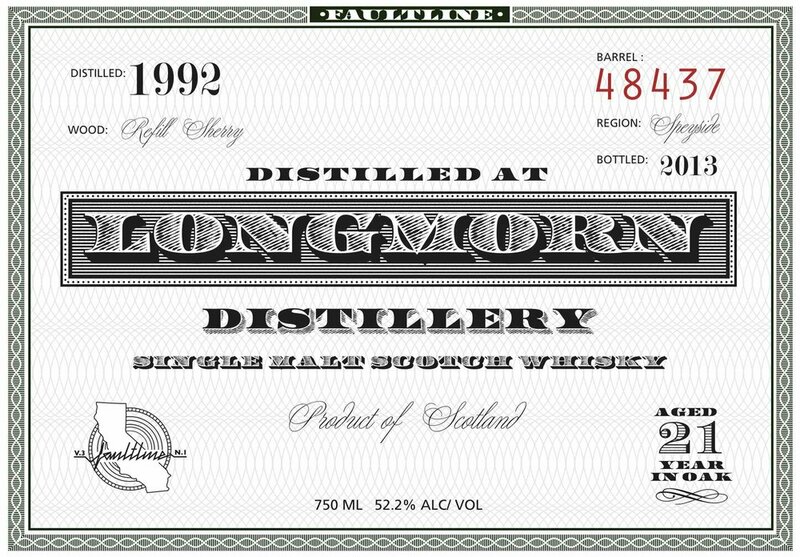 Where would we even find nine casks of whisky where the bottler would let us use our label and not theirs? More importantly, how in the heck did we get these great prices? W-O-R-K. I've said it before and I'll say it again, the booze is out there if you're willing to put in the work. Sometimes the work requires three years of relationship building, so it's not that different from getting a bottle of Pappy. You've gotta make friends, meet people, ask around, and show support. In the end, the people who want to do business with you will make themselves known. That's how we've been able to do all this. 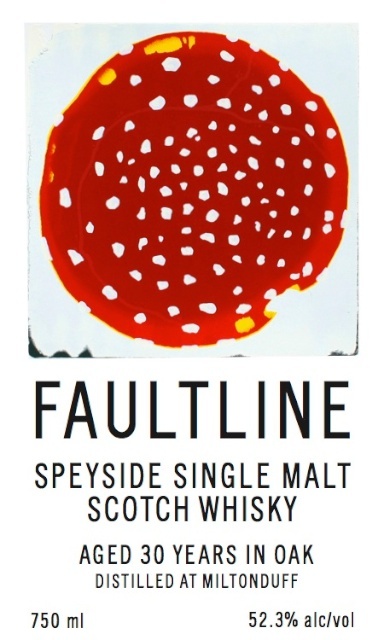 Miltonduff 30 Year Old Faultline Single Cask Strength Single Malt Whisky $139.99 PRE-ORDER - This baby will be the oldest single malt whisky we've ever bottled under the Faultline label. Miltonduff is certainly rare on the market right now, although we find casks regularly, the quality is highly irregular. This cask was just transcendent in my opinion. Aged for 30 years in a bourbon barrel, we really get to the essence of Miltonduff. Exhibiting exotic wood notes and powerfully aromatic qualities of incense, gentian, and spice on the nose give way to intense vibrancy and life on the palate. While this whisky is mature, it certainly shows no sign of slowing down, layering on the aromatic elements as the whisky finishes. Sandalwood, cardamom, bay leaf, and subtle honeyed sweetness soften the powerful masculine quality of this special whisky. These are all due in at the beginning of December. "Due" meaning expected, not for certain! 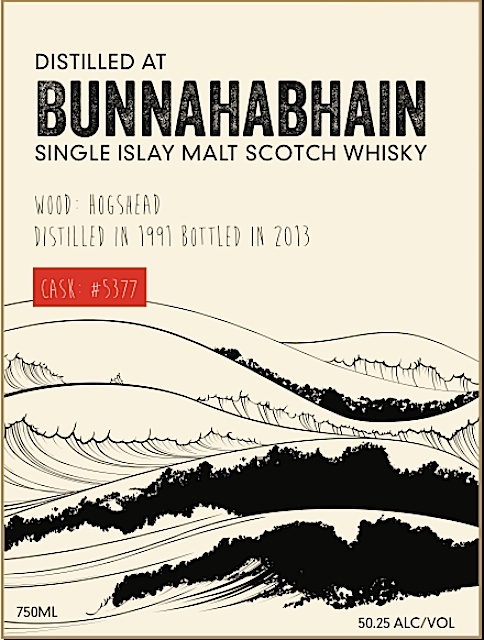 If you've got questions about a specific whisky then send me an email. I know it's tough to decide which ones to get.